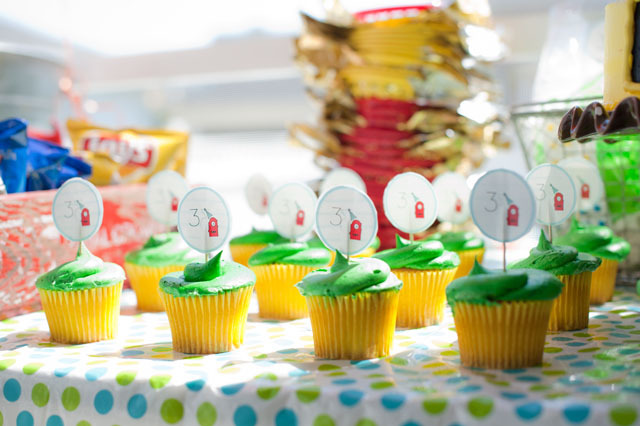 Jen from Little Household & Sugar recently threw this sweet water bash for her son Luke's third birthday. I had so much fun designing invites and paper goods for the party's colorful Yo Gabba Gabba inspired theme (Luke's request! 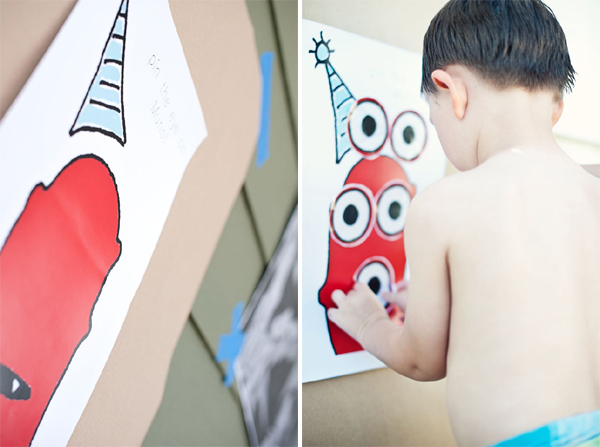 ), including a giant pin the eye on Muno. 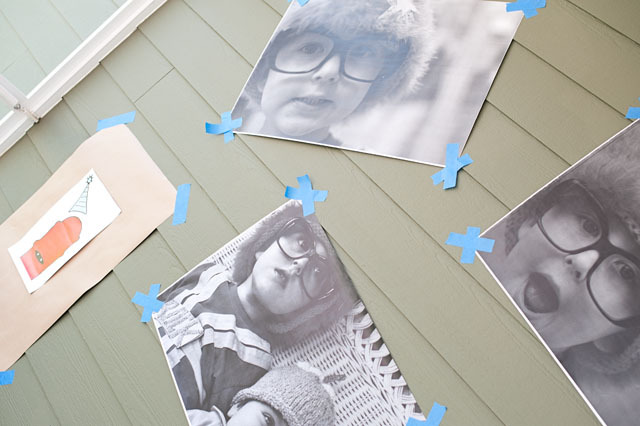 I loved Jen's idea to tape it on a wall with blown up photos of the kids - so cute! See more party details here. the photos + tape are fantastic! love the black & white contrasted with all of the bright color. so cute, looks a great party for the little guy! the cupcakes and the pictures are too cute! great job! 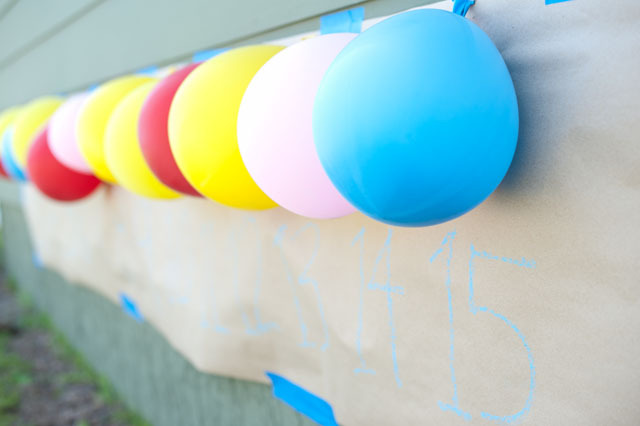 Love Jennifer's blog:) This is such a fun party theme! I think I need to have a water bash at our house this summer. Adorable Alli - way to go!